Yoga for Kids: No More Zombies! I've taught lots of kids in my life. I think I've taught kids of all ages, from 3-year-olds to teenagers. Everyone is different. 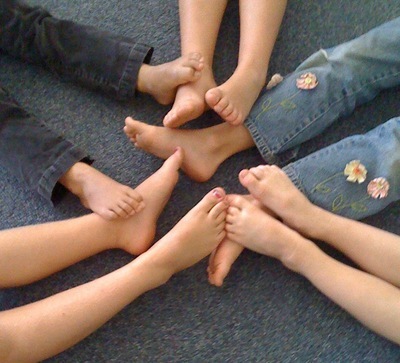 But kids naturally want what yoga offers: a sense of clarity, a sense of peace. And we can't have peace with zombies about. Yoga Teacher &amp; Yoga Therapist; founder of the New School of Yoga for yoga teacher training. 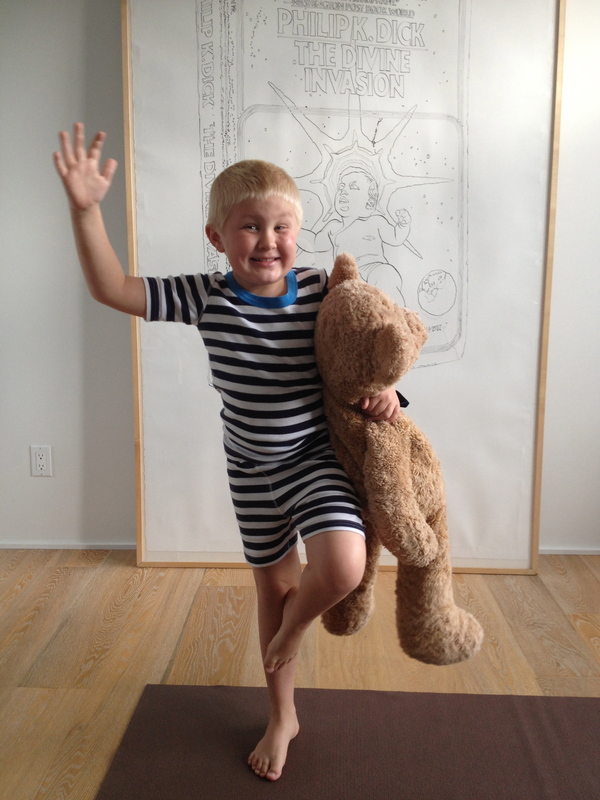 How do you make yoga interesting to a 6-going-on-7-year-old boy? Yoga is play. I've been designing yoga play with this young boy for a little over a year now. I go to his parents' (and our friends) house once a week after school and we do yoga together for about an hour. I know what you may have just thought, especially if you are a parent of a young boy: What?! A lot of people might think that an hour of yoga with a rambunctious, sometimes mischievous, skilled in the way of distraction, 6-going-on-7-year-old would be nigh impossible. But yoga, as I understand it and practice it with clients of all ages, is all about adapting to the individual and their needs. And Matson needs to slay zombies. Oh yeah. Matson taught me how to act like a zombie. (Learn from your student, not only learn about them.) I come after him saying, "Bbrraaiinns, bbrraaiinss," in my scary zombie talk with my scary zombie totter, and he has to pull his foot away and do dancer's pose correctly enough so it blasts zombie me away. So, Dancer's Pose (natarajasana, a standing balance posture where you stand on one foot, hold one foot behind you and arch your back) became Zombie Airplane. Twisted Triangle Pose (utthita trikonasana parivrtti) became Zombie-Killing Pose (I'll leave that to you to figure out). And, after zombie killing one might feel the need for a bit of relaxation. Supported Handstand is Ice-Cream-Melting-on-a-Hot-Day Pose. He slides down off his parents' bed with his hands outstretched and plants his hands on the floor. I support his legs into handstand. Except the other day as he was sliding off he let his arms buckle so that he came down and then he became Mutant Ice Cream. I had to fend him off with an imaginary fly swatter. Some poses are also challenging enough in themselves that he is interested in mastering them. For instance, headstand. I love watching Matson grow, getting stronger and more flexible. The art of adapting a practice to the individual and their needs both in the moment and in their life, also keeps the yoga teacher practicing this approach flexible in this other sense, too.